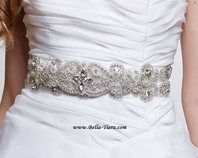 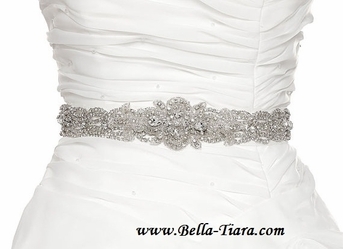 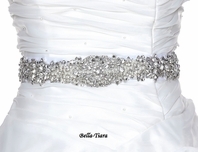 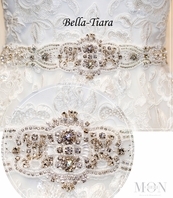 Description: Elegant Crystal rhinestone beaded wedding sash. 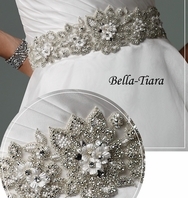 The rhinestone design is 1.5" wide and 33" long - ribbon 95" long ties on back with 3 yards of hanging ribbon. 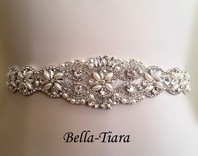 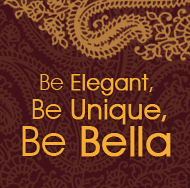 ***if more of a design is needed please contact us $10.00 additional for every 2inch.